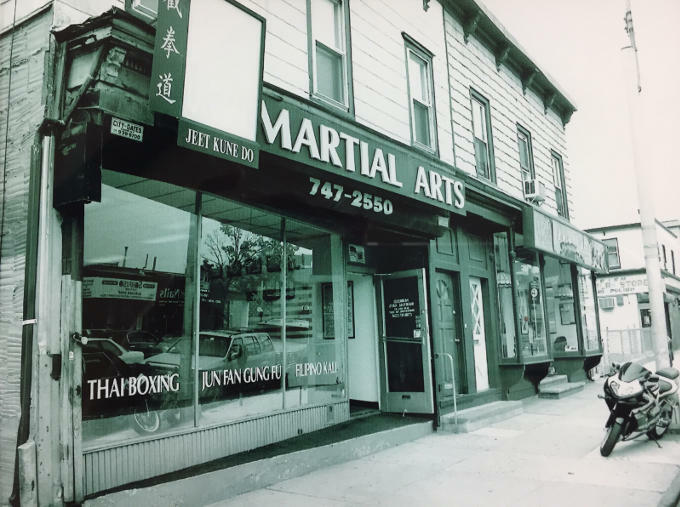 We opened a humble 700 square ft. martial arts studio with two owners and two other instructors, that taught 3 martial arts with JKD principles as the core. We only taught adults in a reality based, no non-sense curriculum, that was mainly meant for street survival and multiple opponent attack. When word got out how realistic our training was, we started to train Police Officers by the dozens, to the point that we ended up teaching the Instructors Tactical Squad at the NYPD Academy in NYC. After several years we had taught agents from the FBI to military personnel but both owners had small children and felt it wasn’t doing anything for the kids community. After much demand from adult students, walk by traffic and many phone inquiries, we started a pre-teens program. After the first year, the kids kept coming in younger and younger so we started teaching two separate youth programs. Parents still kept on asking us if we could teach their younger children ages 5 and 6. So after two years of research, study and planning, in 2001 we created our own signature program, the Little Leaders. Fast forward ten years and by then we’ve moved around the block into a bigger 2400 square ft. school, we’ve won multiple business awards and we’re teaching ten different martial arts from all over the world by fully certified instructors. Now 2019, celebrating our 22nd year in business, in a 10,000 sq. ft. state of the art facility, after four thousand students that have trained and hundreds of Blackbelts that have graduated, we’ve come to realize the truth. Martial Arts can really help you achieve greater success in life and the Transformation you experience through training, to become your Higher Self. To raise the bar in the industry, by setting the standard of excellence in a multi-martial arts academy. To continue winning multiple category awards and cultivating a family atmosphere of open minded people. To not make false promises by saying in 3-days or 1-week you will see amazing results and character changes. To teach the fact that real world martial arts efficiency cannot be rushed any more, than you can rush the harvest when a seed is planted. To strive to achieve a reality where every child can experience the life advantage of graduating high school with a blackbelt.